and then offered to Queen Victoria who presented it to the British Museum. It is not known precisely when this basalt figure was carved, but nearly one thousand moai were produced – all sacred icons exemplifying the Polynesian concern with ancestry, the gods, life and death. 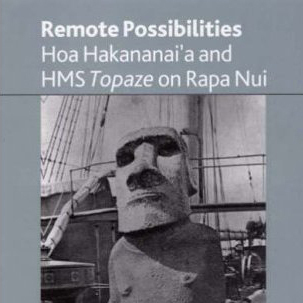 This volume describes how, when and by whom Hoa Hakanana I’a was collected. It reconstructs the underlying Rapanui aesthetic and social structure that produced Hoa Hakanana I’a, and which has been obscured by time and historic accident. The research framework that supports the text includes: the cultural context discerned in the analysis of objective descriptive data collected from nearly 1,000 moai and set within the broader revelations of modern archaeology, geography and ecology; the anthropological insight gained from two decades of valuable ethnographic contact with a broad representation of the Rapanui community, and the evident aesthetic congruence and continuity discerned in certain classes of Rapanui objects, in addition to moai, held in museum collections throughout the world. Many of the illustrations in this paper are published here for the first time.